Need an HDMI cable for your home-entertainment system? If so, you may find the selection quite confusing. There are standard speed with Ethernet HDMIs, high speed with Ethernet HDMIs but there are also standard and high speed versions without Ethernet. To make the confusion greater, there are also special cables for 3D, 240Hz, ARC, HDMI 1.4, etc. Of course, there are also very different prices ranging from a few pounds to up to £100. But while some people claim that there is a huge difference between different types of HDMI cables, many claim they are all the same and that any high speed HDMI cable (regardless of the price) will do its job perfectly. As mentioned earlier, you can choose between two basic types of HDMI cables – standard and high speed with or without Ethernet. The standard versions can handle definition to 1080p, while the high speed versions handle definition well above 1080p. 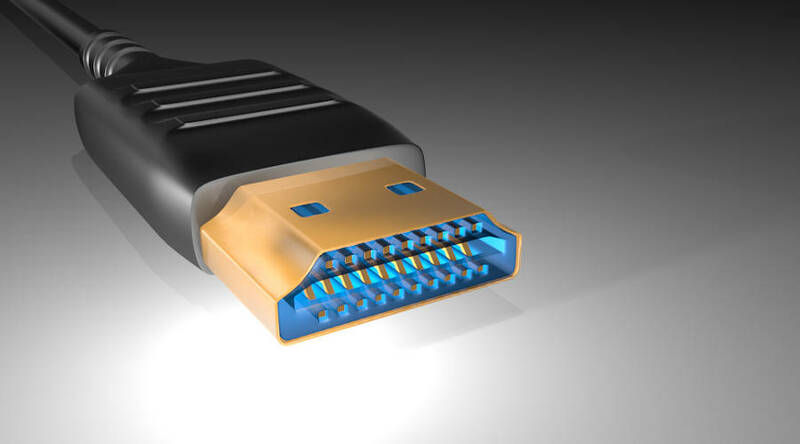 All high speed HDMI cables also support technologies such as 3D, 4K and deep colour, while the standard ones don’t. And considering that the price difference is negligible, there isn’t really much to think about. What about the Ethernet? That’s up to you to decide. Given that not many products have Ethernet connections, you probably don’t really need it. But since the prices of high speed HDMI cables with and without Ethernet are about the same, you really have nothing to lose. The difference in price between different high speed HDMI cables is really dramatic. You can find a high speed HDMI cable for less than £5 but there are also cables with price tags up to £100. Those from the upper price range claim to be made from higher quality materials which both extend durability and provide better quality sound and picture. But according to most users and experts alike, they are all the same. In other words, you won’t get any better sound and picture with an expensive high speed HDMI cable although there may be a slight difference in larger distances. Also, more expensive cables tend to be more durable but not that much better to be worth the cost. Whether to buy a cheap or brand high speed HDMI cable is of course up to you to decide. But if you need only a few feet of cable, even the cheapest cable will give you a perfect sound and picture. Lastly, keep in mind that paying more doesn’t always mean you are getting higer quality.